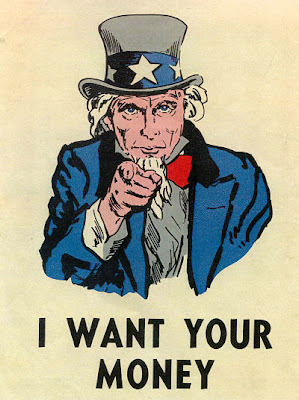 I just gave Uncle Sam all my moneys. He said that's not enough and that he was going to have to take over my blog today. Apparently he likes songs by George Harrison. The video below really gets kicking around 2:30, Have a Happy Tax Day. See you tomorrow. If you tell the Taxman that this is actually the 26th year of your life, he'll want even more of your money.